As we’re about to sit back and take a short breather from the fashion industry, London Fashion Week is breathing upon us — in fact, they just wrapped out the entire event last night. Despite the news on Burberry receiving backlash for that interesting choice of accessory (which they’ve already apologised for), we would say that London Fashion Week was another successful event. Many of them made the news and to our surprise, it’s for the makeup and/or hair. One of them was Halpern’s very glittery eye look. Large glitter particles were applied on the entire eyelid, and it’s not just one shade but two or three — creating quite a sparkling sensation which Halpern described as the ‘gold leaf eyes’. 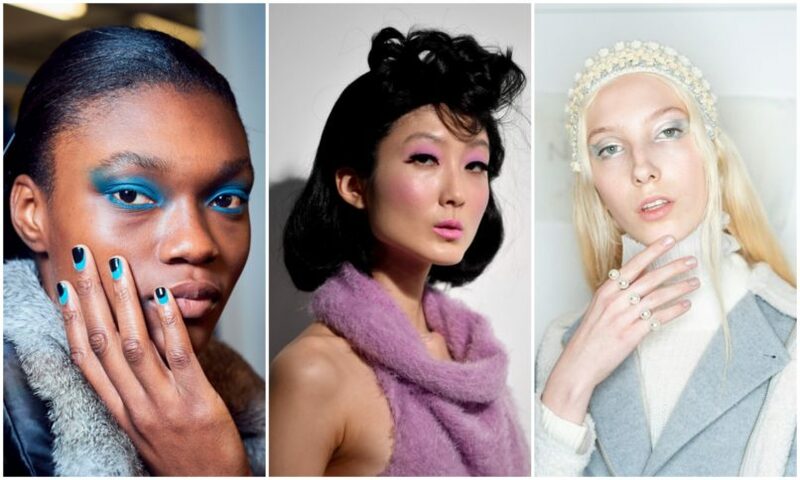 Read on for more of our favourite beauty trends from London Fashion Week. It looks like you would need a lot of hair gels to nail this season’s hair trend. As seen on the runways of Burberry, JW Anderson and Chalayan, slicked-back hair is one of the more popular hair trends this season. 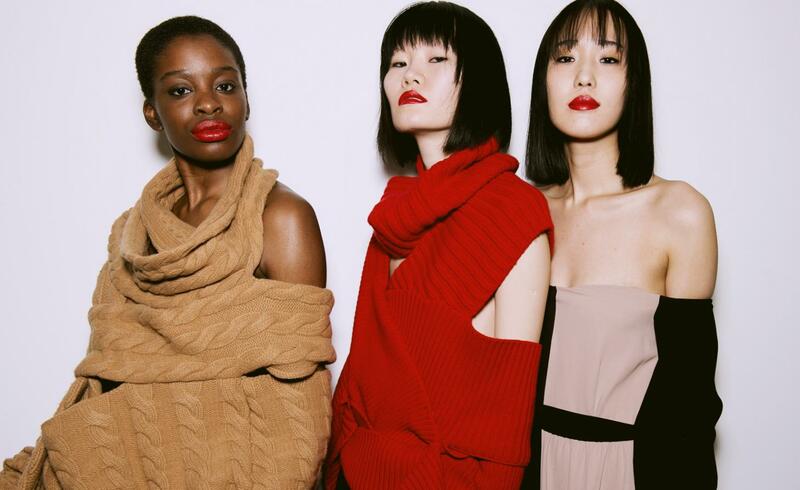 Makeup is kept minimal; JW Anderson and Burberry models had barely any makeup on while Chalayan went with a bold lip. As much as we love the ‘no-makeup makeup look’, going bright, colourful and bold definitely has its own fun characteristics too. It’s time to reach for the other eyeshadow shades on your palette instead of the neutrals you always reach out to. Fashion brands such as Bora Aksu, Mark Fast and House of Holland are seen with these looks. If lots of hair gel is not your kind of thing, pull the strands back with just a hair tie. 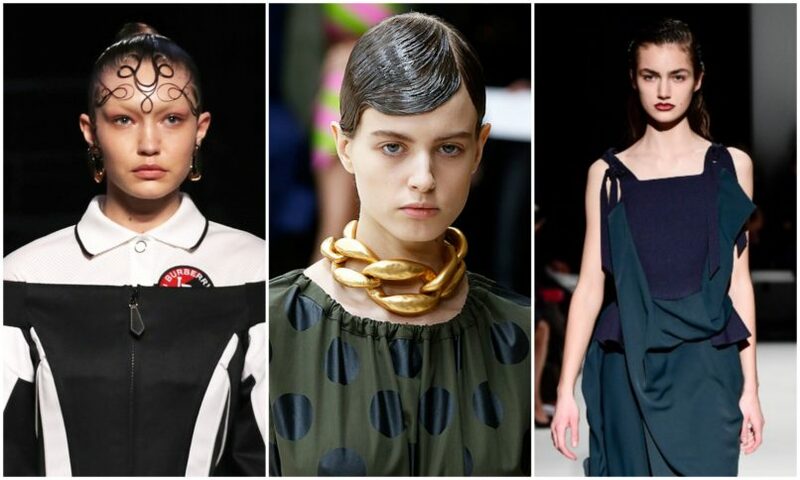 Low buns and ponytails were seen during Markus Lupfer, Molly Goddard and Gayeon Lee respective shows. 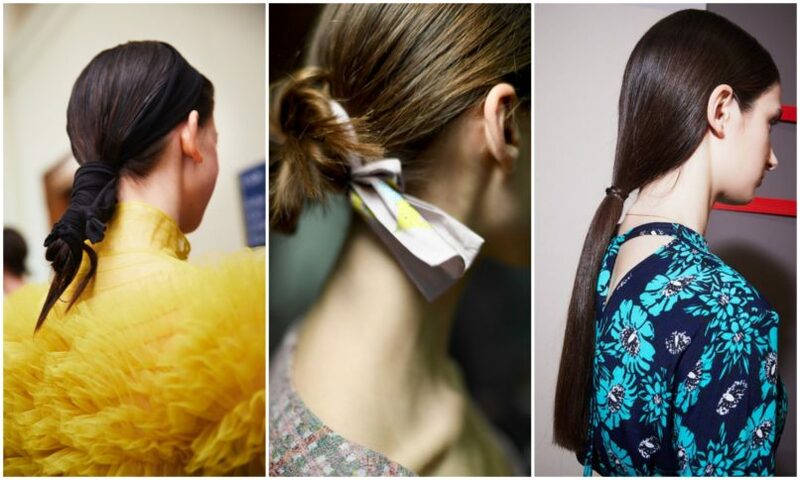 You can even amp up your look with scarfs instead of regular hair ties like what Aveda did for Gayeon Lee’s models.